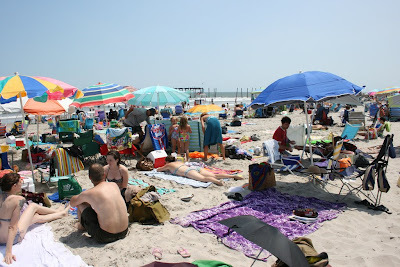 I'm traveling alot this week, and don't have much time for blogging, but I just saw this photo of our trip to the shore (my very first) and I wish I were back there, hanging out on the beach..I can't believe it's soon to be fall! look that's scott, sara, me...and there you are! we should go to the beach again before summer is over. who took this picture?